As one of the UK's premier holiday destinations there is no shortage of things to see and do in Cornwall. Now I could write yet another article that tells you to visit the Eden Project and the Tate St Ives but I'll spare you as you can find that on a thousand websites! Don't get me wrong, I've been to both on several occasions and they're fine - if you like plants and high-brow (read weird) art! This hub intends to include a few places that you might not have heard. It is also aimed more at grown ups who like to get off the beaten track and have a look around. Anyway, you may not find them interesting but I like them! Of the 150 beaches around the coast of Cornwall it is pretty difficult to choose. And based on what criteria? The Blue Flag award scheme which is often interpreted as representing the finest beaches in Cornwall is not entirely what it appears. In fact this handful of beaches are largely chosen on the facilities, i.e. 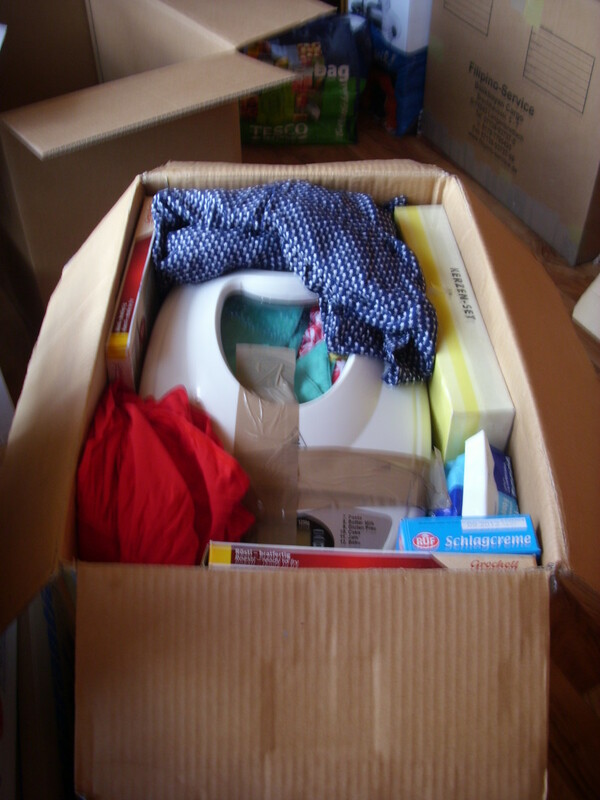 parking and toilets etc. The water is clean all around the coast these days so that is no longer much of a factor. 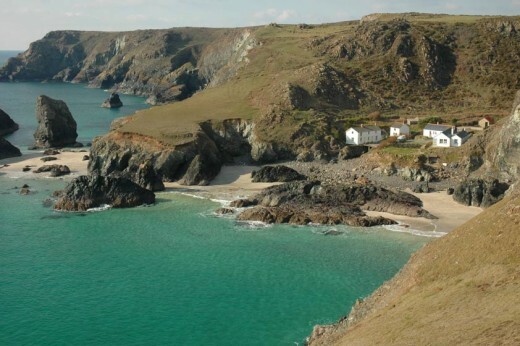 The first of my choices is Kynance Cove on the Lizard Peninsula. This is simply one of the most picturesque coves to be found anywhere. A mix of crystal clear turquoise water and weird and wonderful rock formations make Kynance truly unique. There are islands, caves and on occasion, dramatic seas. Owned by the National Trust the cove has a good sized car park and a small cafe in the cove. My next choice of beach has a different sort of beauty. 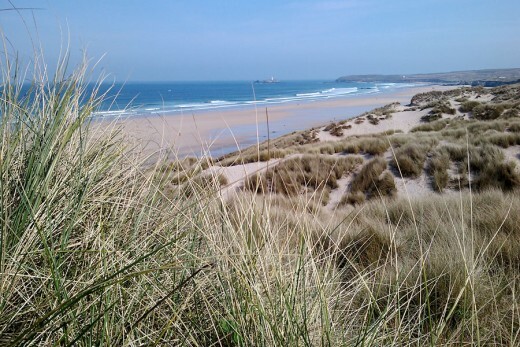 Consisting of miles of fine sand the beach at Hayle Towans is both scenic and family friendly. In the winter this is a windswept lonely place where you may spot the odd dog walker or a huddle of surfers out to sea. With summer and the influx of tourists the beach still never really gets busy. There are pockets of activity near the holiday park, but further up or down the beach you still won't have problems swinging a cat! With a few exceptions it is the fishing villages that are most scenic in Cornwall. One of my favourites is Mousehole, a few miles west of Penzance. Pronounced 'mowz -ole', the village gets its name from the small entrance to its harbour. Once described by poet Dylan Thomas as the loveliest village in England many would be inclined to agree. 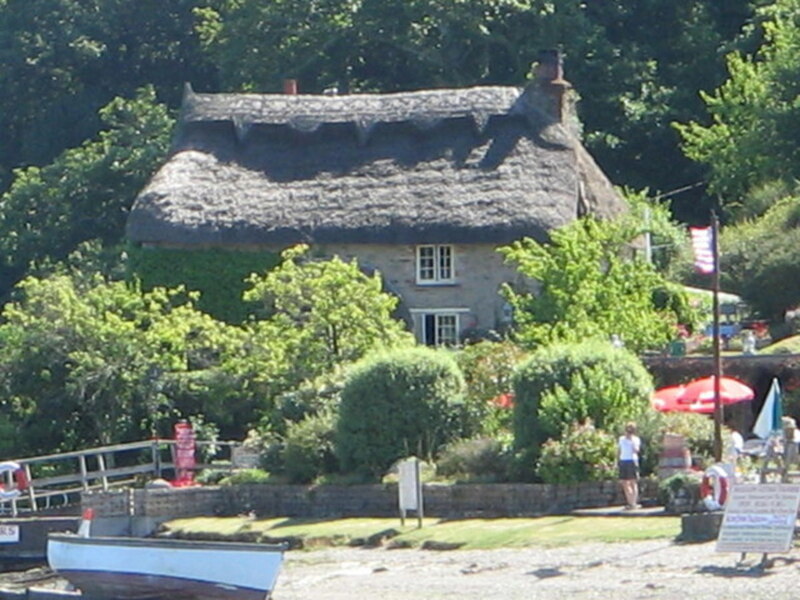 The village consists of a clutch of granite cottages and houses surrounding the small harbour. The harbour itself doubles as a very safe, sandy beach making it ideal for families. 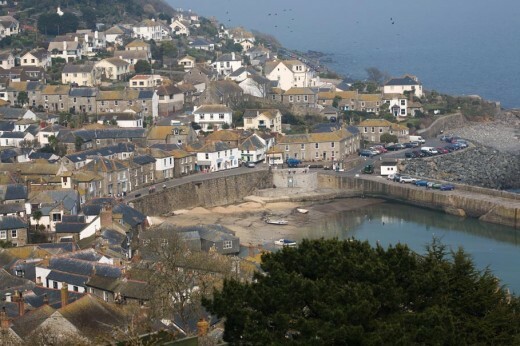 The village itself has plenty to see and points of historic interest include the home of the last Cornish speaker, Dolly Pentreath and signs of the Spanish invasion of 1595. Another of my favourite villages is Port Isaac in North Cornwall. Made famous by the infamously bad Cornish accents of TV series Doc Martin this is a pretty little village indeed. 18th and 19th century whitewashed cottages line narrow streets and even narrower alleyways - the narrowest of which is named Squeezeebelly alley! Again, the village is built around the harbour although where this stops and the village starts isn't that obvious. These days Port Isaac is a fairly upmarket destination and in all my visits it has never been unbearably busy. In the olden days though it was an active port where heavy goods alongside pilchards were landed. 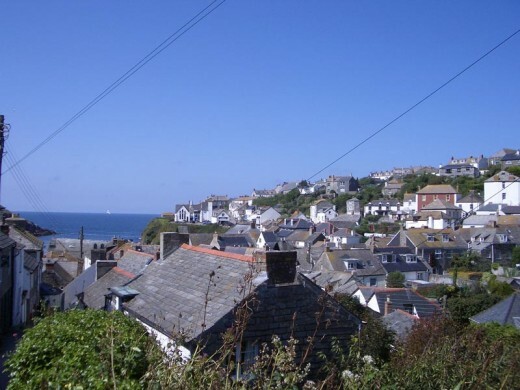 Of course there are lots more lovely Cornish villages including the likes of Polperro, Boscastle, Portscatho ... The list could go on but I'll leave it up to you to investigate and choose your own favourites. Like most of the UK, Cornwall has its fair share of historic houses and stately homes. As you would expect, money being no object at the time, these houses occupy some of the finest locations in the Duchy. Amongst the top runners for my personal favourite are Lanhydrock near Bodmin and Anthony House near Torpoint. 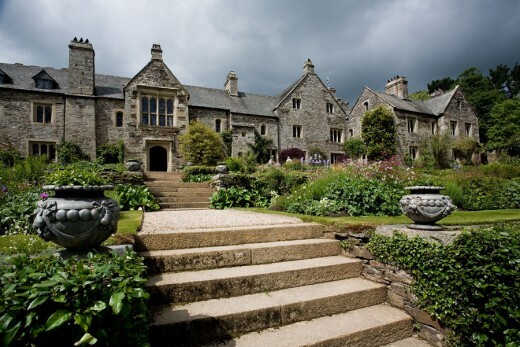 However, it is Cotehele house near Calstock which I am particularly fond of. This Tudor manor dates back to the 15th and 16th century when it was built as both a home and fort. As such it has many interesting features such as the fortified gatehouse and a tower. What I like most about Cotehele though is the fact it is both grand and 'higgledy-piggledy', with barely a right angle to be found. 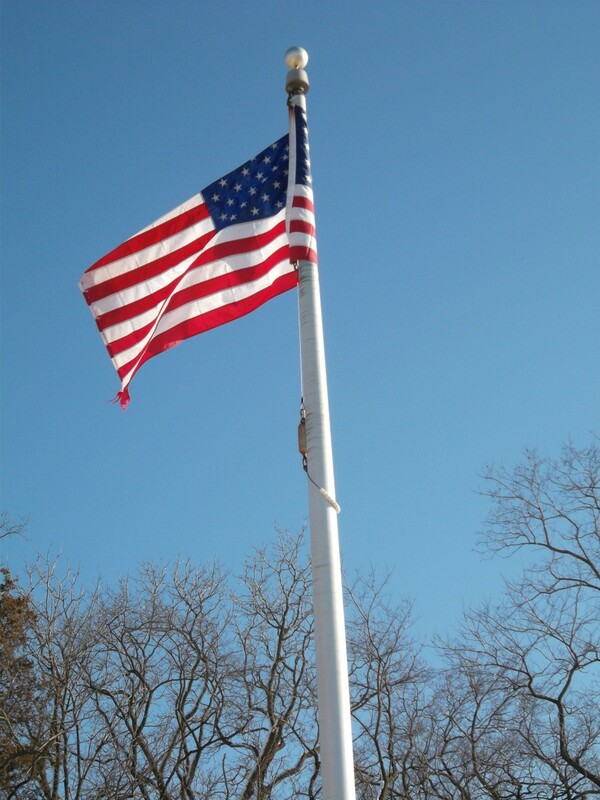 In addition to the house itself the gardens and location are well worth a visit. Perched on the edge of the Tamar Valley there are views down to the river and Callstock viaduct beyond. There are both formal gardens and a valley garden with medieval dovecote and pond as well as woodland walks, an orchard and kitchen gardens. To defend the coast from invaders Cornwall has some fine castles. Many of these were built in the 1500s under the rule of Henry VIII to defend from the French. Besides the ancient ruins of Tintagel Castle and Restormel Castle a little inland, all of these are situated on the South coast. Whilst all are fine castles there is one iconic example that stands out from the rest. Whether it is technically a castle (or a monastery or a stately home) isn't important. St Michael's Mount is a steep sided island in Mount's Bay topped by a sprawling medieval castle. 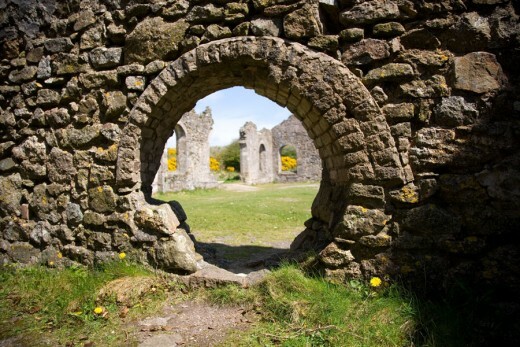 Parts of the castle date back to Norman times and over the years it has served many purposes including as an abbey. 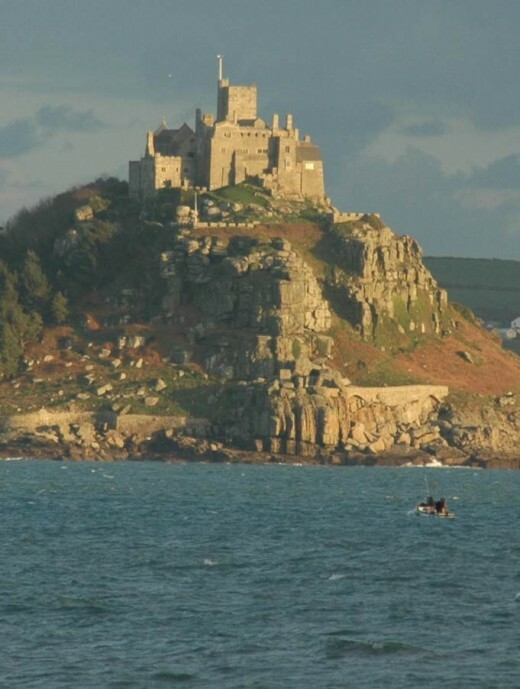 Currently it is home to the St Aubyn family and is the seat of Lord St Levan, although he now resides in Penzance. Whilst much of the house is private parts are open such as the great hall and church. Also, the majority of the mount to the landward side is open - the seaward side is home to a private sub-tropical garden that is opened to the public on occasion. Cornwall's history is largely narrated through the landscape. Monuments both ancient and relatively modern dot the countryside, often in close proximity. The monuments I am referring to are the ancient stone circles and standing stones along with the remains of the mining industry. In terms of mining heritage, my favourite spot is South Wheal Frances a set of mine ruins that were once part of the Great Flat Lode near Redruth. I like it for two reasons; the scale and number of interesting buildings really gives an insight into the life of the mine with buildings such as the 'dry room' where the miners got changed still standing. The other aspect I like is it is a great place to spend some quiet time with lots of grassy areas and nooks and crannies to explore with nothing much to disturb the peace except the odd buzzard overhead. 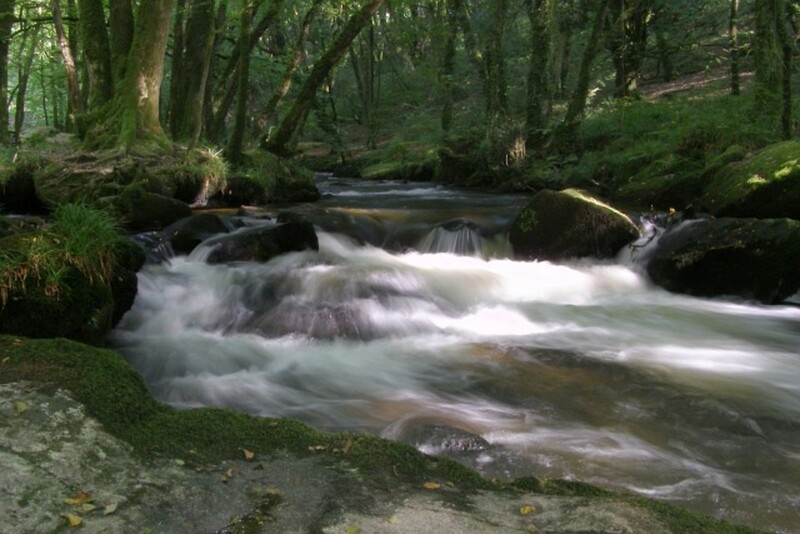 The ancient sites that dot the landscape of West Cornwall and Bodmin Moor date back to the Bronze and Stone Ages. It is hard to choose just one to recommend and even harder when deciding whether it is the stones or the location that really stand out. 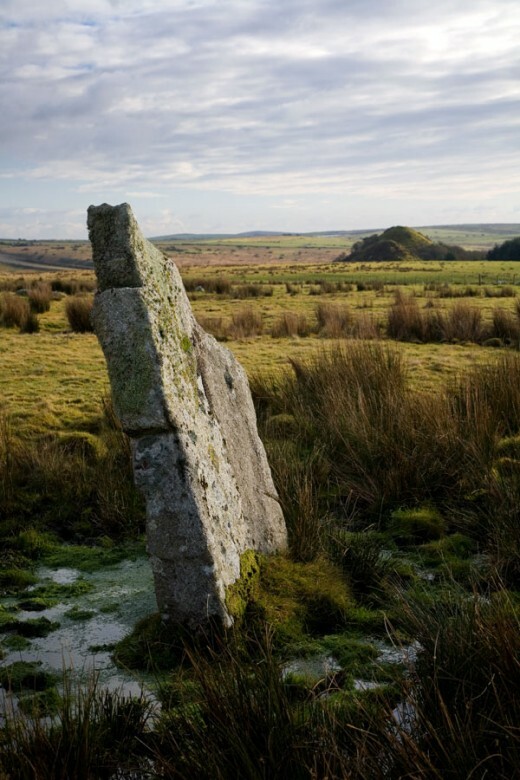 For that reason I'm going to choose a site that appeals to me for both reasons, the Stripple Stones on Bodmin Moor. The remains of what was once a much larger circle with 28 stones and ditches, the Stripple Stones are set in the remoteness near Hawks Tor. It's a fair hike to get to the stones but they aren't too difficult to find - however, I can't say the same for the way back! So there we have it, some of my favourite places in Cornwall. There are plenty more and if I was so inclined I could probably devote a whole website to it. Well, actually I have! Please feel free to add your thoughts on your own personal highlights of what to see in Cornwall. I might add a few more when I find time. Where Are the World's Best Beaches? 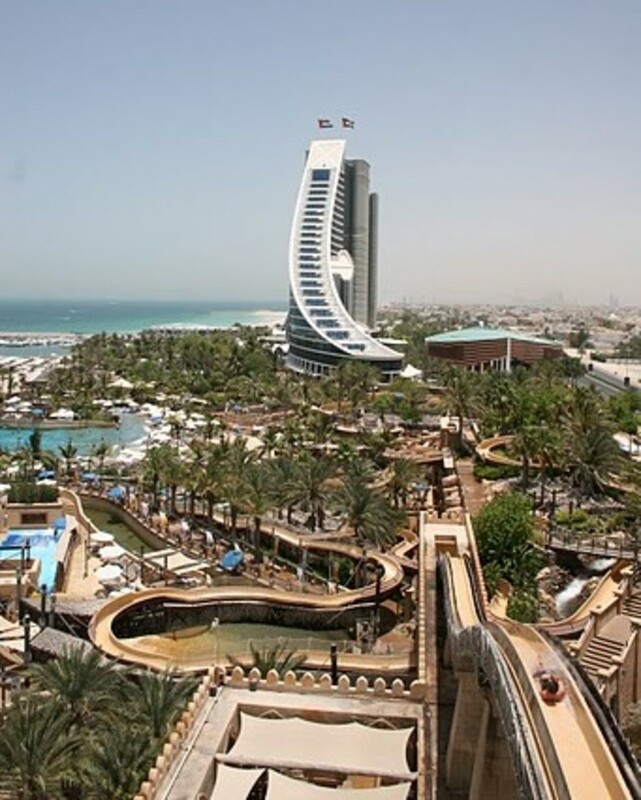 Which Is The Best Waterpark in Dubai? Doh, forgot the Minnack Theatre in Porthcurno! Thanks Imogen. I've spent enough time down here now to know a fair few of the weird and wonderful spots - most of which I'm happy to share with anyone who's interested! Great hub - I wish I'd read this before a went to Cornwall a few weeks ago. I did manage a couple of places on your list, but I guess I'll just have to go back! It is a beautiful county, and your words and pictures do it justice.